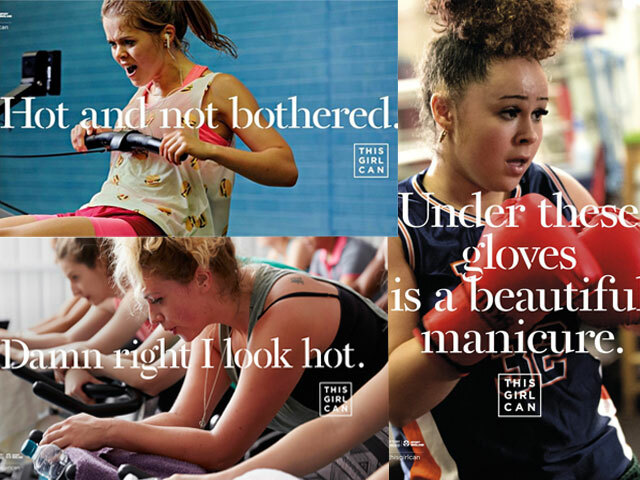 Are your photos among the 72, 539 Instagram posts (at the time of writing) published using #ThisGirlCan? I know I have a few in the mix. And after attending a recent conference hosted by FCB Inferno – the creative agency behind the campaign – and the CEO of Sport England Jennie Price, I now have even deeper respect for the ubiquitous adverts. You see, Sport England had a lot depending on this ad campaign – £10 million to be precise. And they were determined to see a significant improvement to the eye-opening 1.75 million wide gender gap that exists between the number of men and women who enjoy frequent sport or exercise. As a regular at several of London’s newest and more established boutique fitness studios, and a sweat devotee at my local Virgin Active, at first I was shocked to hear that was the case. But then I remembered the hushed voices of many girlfriends who have asked, baffled, “how do you deal with all the guys in the weights room?”. You may remember my Fit Friend Basma. She was weary of the weights room for this reason, too. The testosterone-filled space can feel a little intimidating to an outnumbered woman, but the balance will only shift when we fill that space with more capable and confident females. I knew Basma had made serious progress in both fitness and confidence when she told me she no longer thinks twice before going to the weights room and loading up a barbell. That mindset shift is exactly what This Girl Can has helped to achieve on a must greater scale. So what one thing united girls from around the globe? 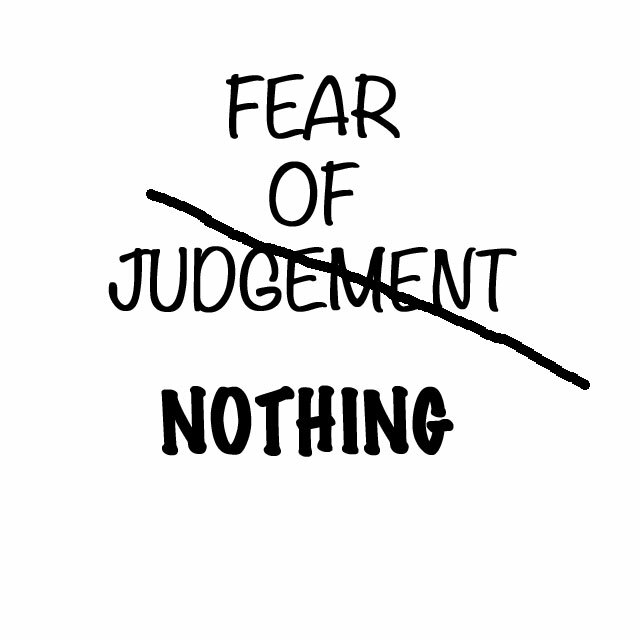 Fear of judgement is a universal barrier that takes the form of many different questions. How am I going to look? What if I can’t do it? Will people think I’m less dedicated to my career/family/friends if I spend more evenings doing exercise? All of those questions are extrinsic to the individual. So the challenge was set – Sport England had to find a way to internalise the dialogue about fitness. It had to be challenging. It had to be disruptive. It had to be empowering. … And as the ad clocked up 3 million YouTube views, became the #2 trend on Twitter and secured 10 days of national media coverage, it was clear that This Girl Can was also extremely RELEVANT. People from all backgrounds and from all over the world were connecting in an unprecedented way with this campaign and its message. They understood it, and felt it understood them. Although fitness for me is an area I do feel confident and empowered, I remember a time in school basketball try-outs when I shrivelled because a coach called me ‘shrimp’, thinking I was too short to get any kind of ball into any kind of net. Just last weekend I threw my husband into a fit of mild rage on the Brighton Pier as I smashed his score on the LA Lakers arcade game – apologies to the hubby for sharing ;-). I’m still not particularly tall, but I haven’t let that coach’s words convince me I can’t do something. Even if he did make me feel small (inside and out) at the time. And now as I begin to enter another stage of my career (I sit my final Personal Training exams in just over a week, wish me luck! ), I too face inklings of self-doubt every day. Am I too old to start out as a PT? Is my personality ‘big’ enough to join one of the amazing teams at London’s top fitness studios? Can I really set an example that others will aspire to? And it’s OK to have similar self-doubts, whether it’s just before you enter the meeting room or the weights room. What matters is that you squash them well before they enter the sphere of self-judgement. Acknowledge them, then squash their very essence. Then hold onto that feeling when you come out the other side feeling braver and stronger. And remember – THIS GIRL CAN.